Home > ENTERTAINMENT > Royal Ascot Goat Races: The race for the best goat is on! 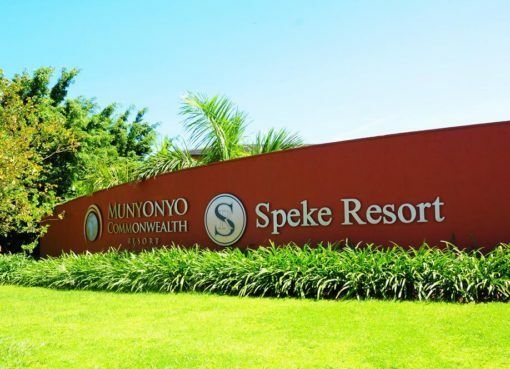 The Royal Ascot Goat Races are making their big comeback on the social calendar at Speke Resort Munyonyo this Saturday. 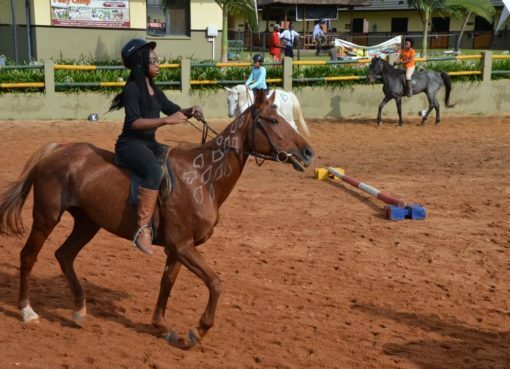 The fun event that had taken a five-year hiatus has always pulled in crowds of fashionistas, party animals and lifestyle fanatics who join in to catch the thrill of watching the goats race. 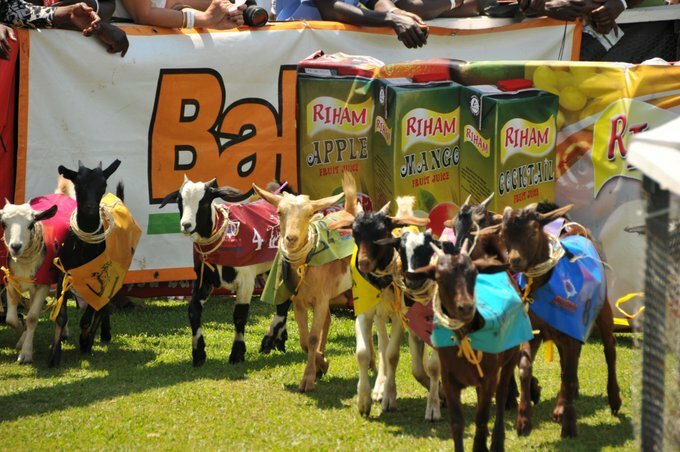 This Saturday there will be a set of seven races that will have 10 different goats participate in the action packed races powered by Tusker Malt. The goats can still be bought with prices ranging from shs300,000 to shs700,000 per goat depending on the races they are participating in. Already singer Bebe Cool has created a buzz for naming his goat Apass, who happens to be his music nemesis. There were also slots that have been filled up for companies to sponsor the races starting with Euroflex for race 1,Tugende for race 2, Royal Kuku for race 3, Gold Star Insurance for race 4, Tech Associates for race 5, Prudential for race 6 and Kia Motors for race 7. The goats that happen to win the race will be given cash prizes and a take home trophy. Betyetu will also be in the mix of all the fun for those who would like to bet on the goats. The cash that will be generated during the races will be split between the winner and a charity program. “The edition is indeed special as the focus and proceeds will seek to support and uplift the Toto’s Tag Rugby and Outreach Program that trains and mentors over 250 children to learn the sport. The programme has been going on over weekends at Kyadondo Rugby Club,” Naiya, wife to Rajiv Ruparelia said. 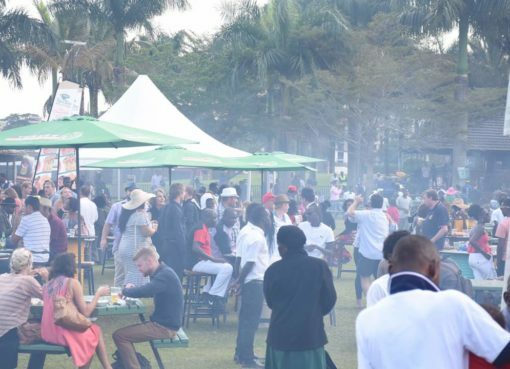 There are other fun activities to look forward to with food and drinks, including a silent disco to be hosted by Sue Ochola, Posh Junction VIP treatments, a champagne bar and of course, plenty of seating by the lakeside for everyone in attendance to chill, eat and drink. The crowd will be entertained by Fik Fameika, Simples Entertainment and Bebe Cool before the event closes with a fireworks display. Gates to the event will open at noon with seven sets of goat races with 10 goats participating in each starting at 1.30pm and proceeding throughout the day. Tickets are being sold at Shs50,000 at selected selling points including The Cube, Speke Apartments, Kabira Country Club, Speke Hotel, Speke Resort Munyonyo, and Liquid Silk as well as online on Quicket.